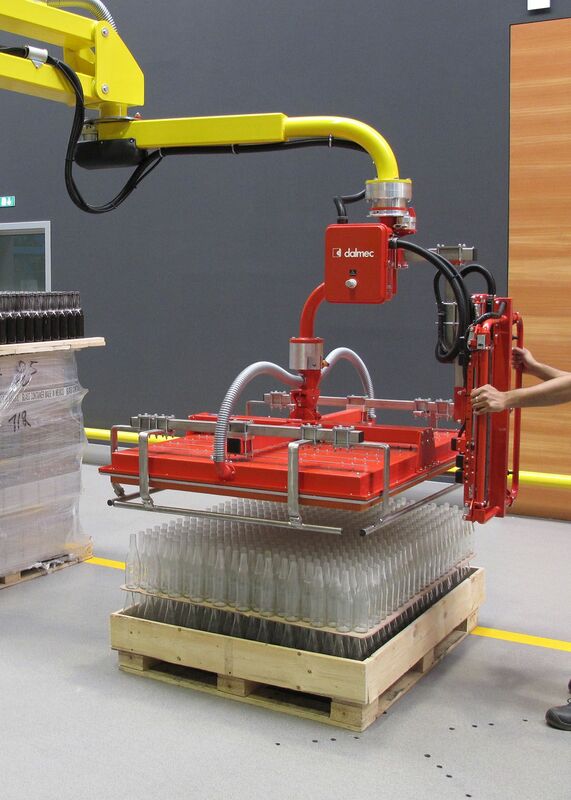 Dalmec vacuum gripping system for fully filled layers of bottles, applied to Manipulator Partner Equo. Each layer consists of 228-440 bottles. 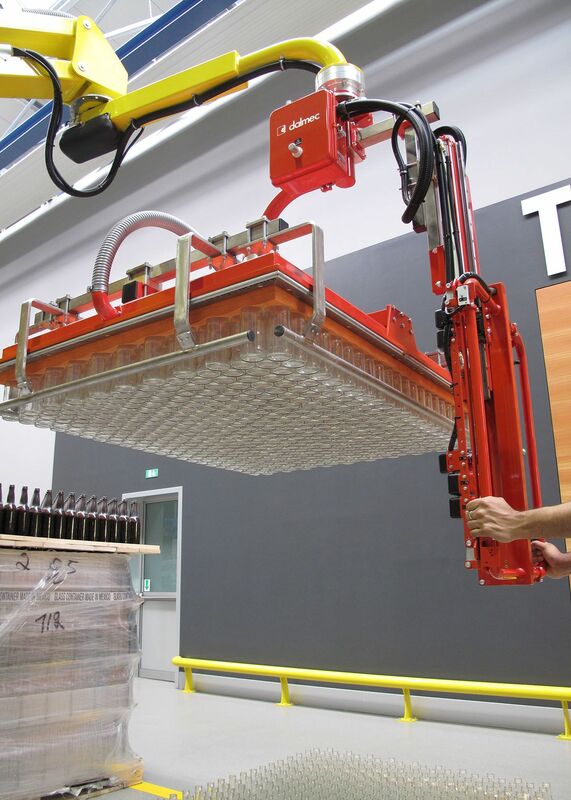 Thanks to the interchangeability of the gripping head, the system is able to handle various types of bottles having different size and weight. 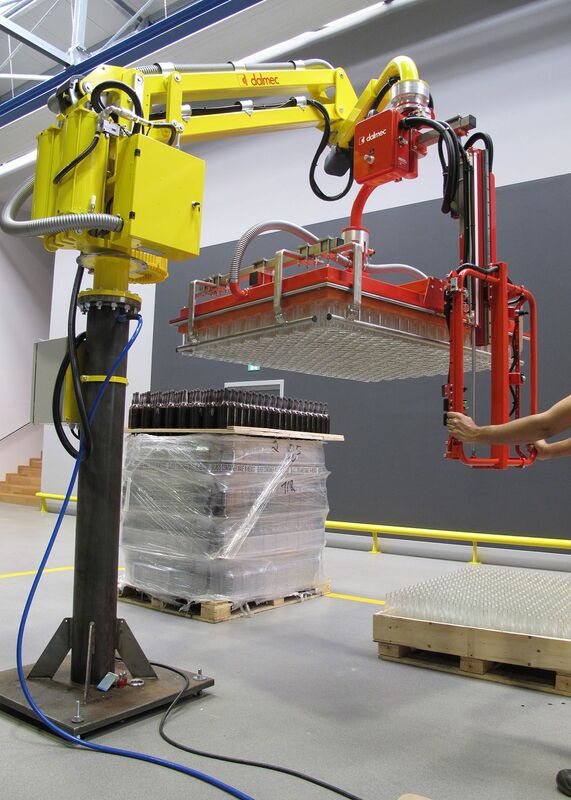 The vacuum is generated by an electric pump and a particular holed sponge allows the gripping of the bottles.